Faculty of Engineering and Information Technology (FEIT) to become the best education institution that is superior in engineering and information technology class with global competitiveness as well as integrity, learning culture, and high social responsibility. To conduct education with good faculty governance that fulfill the principles of discipline, transparency, accountability, responsibility, and fairness. To perform “Tri Dharma” higher education activities in order to produce graduates with both national and global competitiveness, honesty, integrity, and social responsibility. To conduct the best in its class for Science & Technology research and development as a part of increasing the nation’s level of competitiveness and human civilization. To produce tenacious and tough graduates who possess balanced hard and soft skills. To produce graduates with good character, integrity as well as technical, managerial, entrepreneurial, and leadership competence thus able to be adaptable to environment changes. To create scientific work for society and industry that is developed through good academic culture. Our CREATE values are Creativity, Respect, Equality, Accountability, Thrust, Enjoyness. Bachelor and Master study programs under the Faculty of Engineering & Information Technology are Bachelor of Mechatronics, Information Technology, and Industrial Engineering as well as Master of Information Technology (MIT) and Master of Mechanical Engineering in Mechatronics (MME). Leonard P. Rusli, M.Sc., Ph.D.
Dr. Tanika D. Sofianti, S.T., M.T. 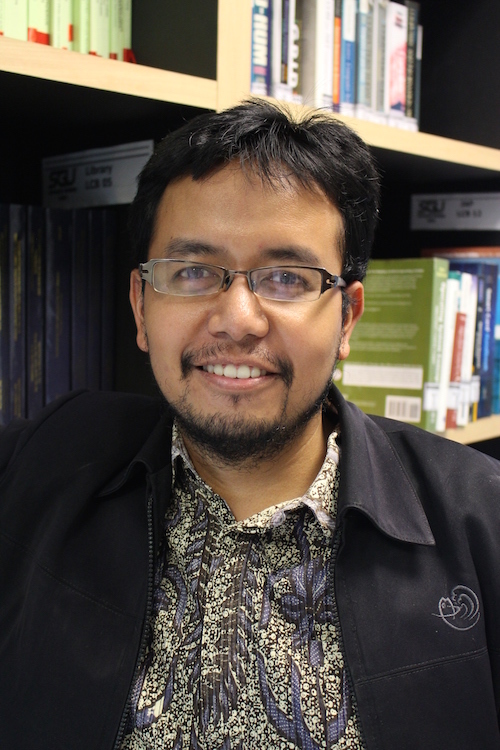 Dena H., BSc., M.Sc., Ph.D.
Dr. Eka Budiarto, S.T., M.Sc. Erikson F. Sinaga, S.T., M.Kom. Dr. Ir. M. Amin Soetomo, M.Sc.